These days, it doesn’t take long to find a Facebook or Twitter success story. Businesses that wisely use the tools see a payoff. But LinkedIn? The stodgier cousin of the group? Not so much. Yet for PostcardMania, a fast-growing, Florida-based postcard marketing company, unlocking LinkedIn has been a bottom-line booster. It’s not just for job searchers anymore. Every week, the company consistently counts at least two dozen fresh leads coming directly from LinkedIn – more than Facebook and Twitter deliver. That’s added up to more than $72,000 in revenue just from LinkedIn. How do they do it? Here, PostcardMania shares its formula. Hint: It’s about attractive content offered at just the right time. 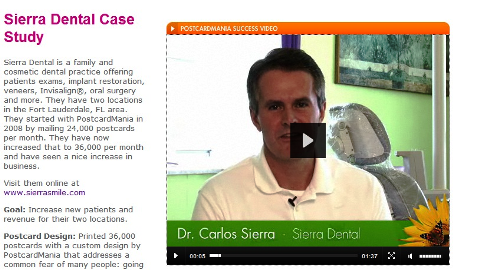 PostcardMania consistently creates high-value content – such as the CEO's blog – to drive people to its site. Using LinkedIn, PostcardMania generated 600 quality leads – with contacts providing their information – over the course of just over a year. LinkedIn leads resulted in more than $72,000 in actual business. While Twitter and Facebook bring in traffic, LinkedIn pulls in actual leads. Since the beginning, PostcardMania has used free advice from on-staff sales and marketing consultants as a major customer acquisition strategy. Now with 175 employees and $19 million in annual revenue, it’s a model that continues to serve the company well. Today, Gendusa’s free-advice strategy extends beautifully into social media channels. In addition to taking its own advice – mailing 140,000 postcards every week promoting its services – the company actively participates on major social media sites. However, the company’s success with social media was not a direct route. Early attempts with a couple of marketing agencies added fans, followers and LinkedIn connections but only brought in a lead or two every couple of months. “My boss said, ‘I can’t afford this. I need ROI (return on investment)’,” said Ferris Stith, PR & social media manager at PostcardMania. This past August, the company brought social media marketing in-house, putting Stith in charge. She and Gendusa realized the potential of LinkedIn to connect with their audience – small businesses like dental offices, repair service companies and insurance brokers. LinkedIn has become a solid lead generator, topping Facebook and Twitter for the company. First, you need attractive content to move people from LinkedIn to your site. PostcardMania actively creates articles, blog posts, reports and customer case studies for the different industries it targets. The company packs every piece of content with valuable information. No fluff. Then, Stith finds multiple opportunities to share links back to that content. About 80 percent of the time – usually with special reports – links go to a landing page requiring the person to fill out a form to access the content, turning that contact into an official lead. 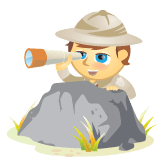 Special reports for each industry are among the top lead generators. Stith and Gendusa agreed that Gendusa, as CEO, would be the face of PostcardMania on LinkedIn, but Stith would post. Stith spent months learning Gendusa’s voice and absorbing her marketing knowledge in order to contribute as Gendusa would. Stith posts and responds as Gendusa for all inquiries that are not personal messages to the CEO. Stith posts as CEO Gendusa when answering questions. When Gendusa receives connection requests, Stith reviews the person’s information and usually accepts the invite. After that, she connects one-on-one with the individual with a friendly message. “I’ll say, ‘I see that you work at this company. Are you the owner? How’s business going? '” Stith said. She keeps conversations going by often ending with a question. Stith stresses that she stays very conversational, and never salesy. She also keeps the messages about the other company and their needs, rather than talking about Gendusa or PostcardMania. In the course of conversation, she might point a dentist to a gallery of visual examples of other postcards or to a video and/or written case study showing how another dentist brought in new business with postcard marketing. “Case studies and sample galleries are really successful depending on the conversation,” Stith said. PostcardMania shares links to written and video case studies in the specific industries of those they connect with on LinkedIn. When contacts aren't sure what to put on a postcard, Stith shares links from LinkedIn back to a gallery of samples. 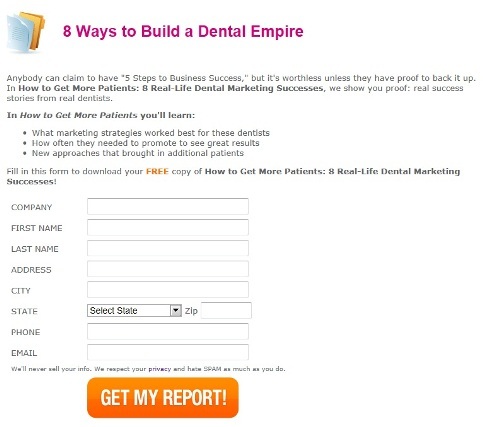 Or, Stith might also point the contact to a special report just for that industry, such as the “8 Ways to Build a Dental Empire” piece. “Usually when people read that report, dentists call and usually buy pretty fast,” she said. Special reports, tailored to industries, are particularly big traffic generators. Next, Stith joins LinkedIn groups for the various types of small businesses the company targets, and judiciously contributes to discussions and questions about marketing. Within groups, Stith uses the LinkedIn “Discussions” feature about once per week to share valuable content that links to PostcardMania.com. Fellow group members can comment or ask questions right on those discussions. 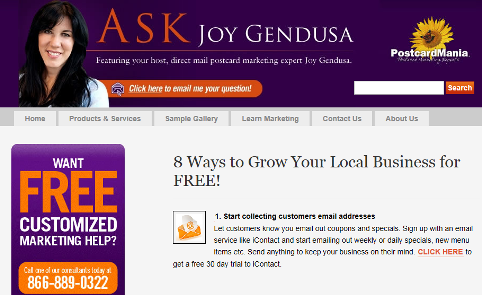 Just recently, the company generated the most leads yet (53) from a piece of content – with the blog post, “8 Ways to Grow Your Local Business for FREE!” Each of the eight ways was a “snippet” with links to get more information, each of which collected the person’s contact information. Stith posted a link to "8 Ways to Grow Your Local Business for FREE!" in all the groups she's part of. Traffic coming from LinkedIn to the blog post ended up generating 53 new leads. If someone seems like a good prospect based on his or her profile and comments, Stith will click the “Reply Privately” link to take the conversation offline and connect with that person. Additionally, PostcardMania answers marketing questions posted on various forums. 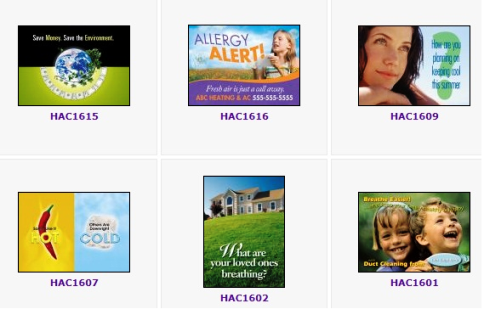 By answering questions and including links to relevant content, PostcardMania connects with prospects in target industries. Also part of her regular LinkedIn group activity, Stith “cold messages” contacts who might be promising prospects. Again, given the nature of LinkedIn, she’s careful to be conversational, not promotional. PostcardMania meticulously tracks all leads. In roughly the past year, the company generated approximately 600 leads, which Stith said amounts to approximately $72,000 in actual business – all just from LinkedIn. She notes that their close ratios for social media match those of traditional media activities such as postcards, indicating that social media does deliver quality leads. However, not all social media pulls the same weight. While Stith uses Facebook and Twitter, her B2B audience responds best to LinkedIn. Share truly attractive free content – Contacts are conscious of fluff. Give them real advice they can use. Don’t be salesy! – Keep the focus on offering real advice and value, or risk turning off prospects and being flagged as promotional in groups. Keep the conversation going – End each message with a question. Track your leads – PostcardMania uses Google Analytics to meticulously track all traffic from LinkedIn to content. What do you think? Is your social media marketing generating real leads beyond just fans and followers? Leave your questions and comments in the box below.